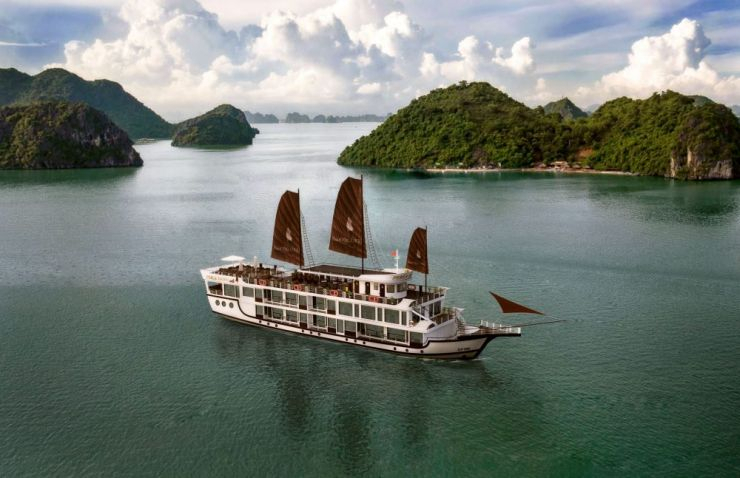 Launched in the early of 2019, Sealife Legend Cruises bring a brand new concept of luxury to overnight cruises in Lan Ha Bay and Cat Ba Island – the less traveled part of the Gulf of Tonkin. 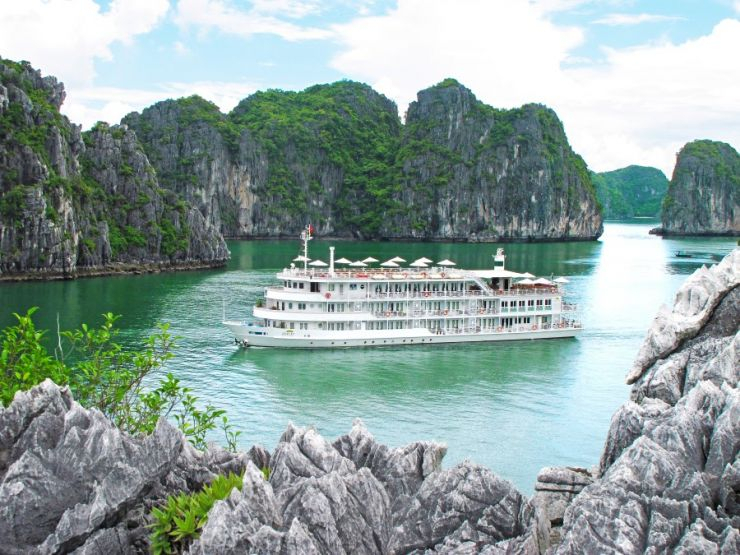 Boasting top-notch facilities, excellent service, unique excursion, Sealife Legend Cruises is one of the high-end Cruises in Lan Ha Bay. Innovative Michelin star dining comes as standard: with menus crafted by world-famous celebrity chef John Burton-Race. President Cruises serves an imaginative a la carte menu with over 40 dishes, each one individually crafted by John with European and Asian influences. 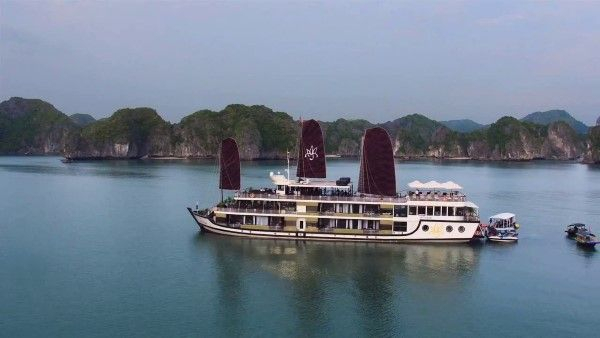 Let yourself join her exclusive journey with ultimate personalized on-board service and the most sophisticated accommodations and facilities in Halong Bay and neighboring areas. Highlights: They say La Regina Legend is a glamorous cruise without compare! The ship effortlessly blends all that’s great about the liners past – wood detailing and brass fixtures, for example – with modern comfort and luxury. 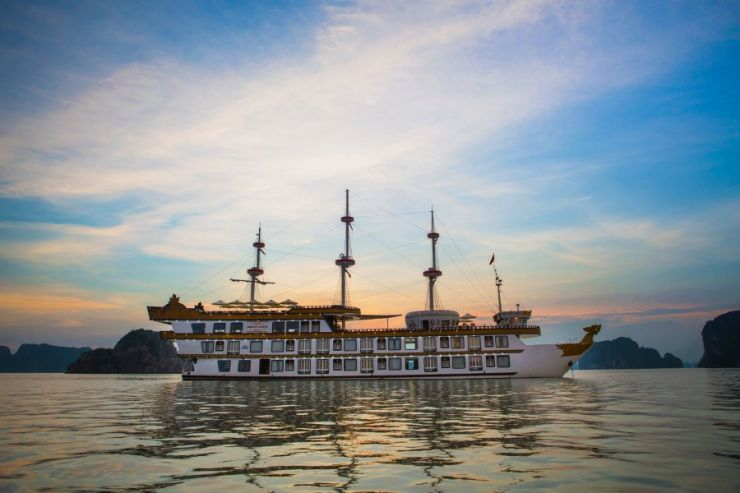 She features luxury down to the smallest detail, from the ornately decorated paintings of Vietnamese queens in the restaurant to the wood-paneled library, La Regina Legend’s beauty lies within her features. 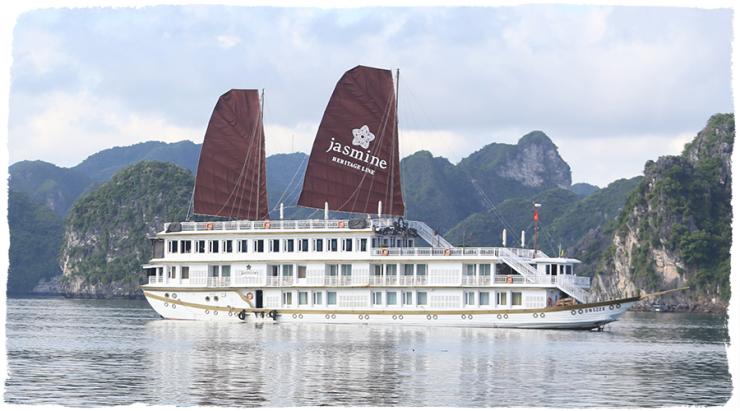 Honestly, the four-deck cruise deserves to be fully explored to uncover her secrets and your favorite places on board. 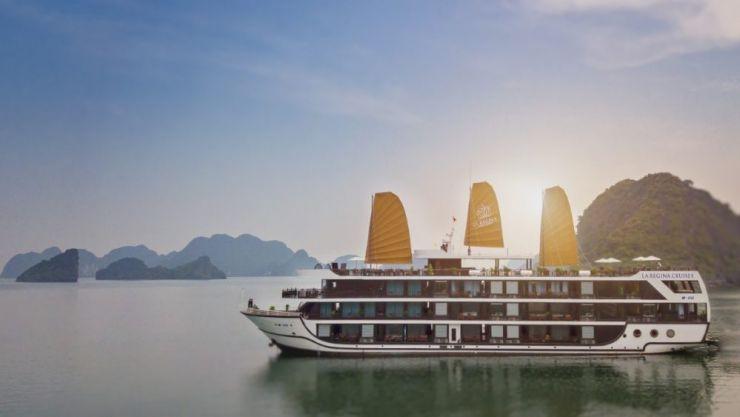 Inspired by the Legend of the love story between the Dragon Lord of the sea – Long Quan – and the young fairy – Au Co, reputable French architects have worked with us to create a luxury ship which fuses modern Asian design with a French flair for elegance and style. 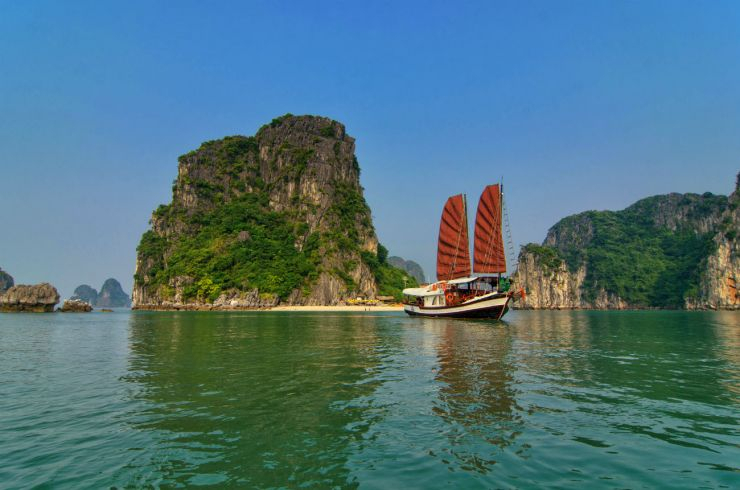 Highlights: Unique itinerary: Bai Tu Long Bay. 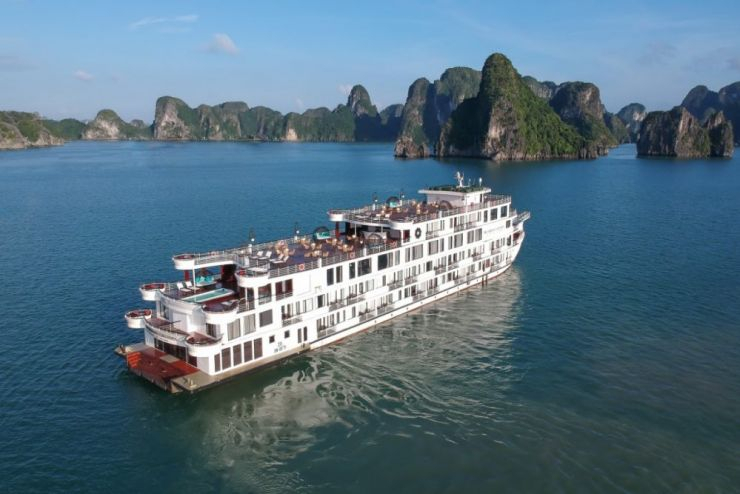 Dragon Legend modern luxury cruiser is a showcase of Vietnamese culture and design, 5-star services with well- trained, and enthusiastic crew and staff. Rated top 5 on Tripadvisor.